Once you have unique software ideas, it is not a difficult task to get started. However, you need to know a number of things in order to start with the software idea that you have. Most people tend to fail miserably because they do not have a proper idea about how they can get started. 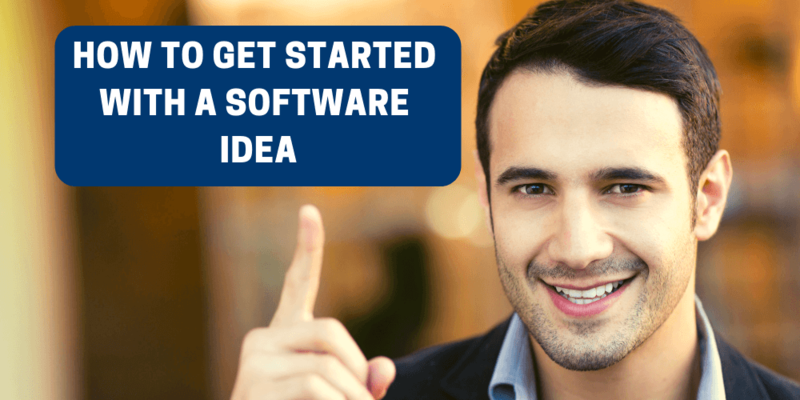 If you want to know how you can get started after you have a great software idea, you can follow all the steps that are mentioned below. This list of steps has been coined by SoftwareWorld so that you can get started with your software idea without any hassle. When you are about to start the software project, you need to be extremely excited about it. The first and most important thing that you should know is how to get software built and once you know how to build software, it is going to be extremely funny. Creating software means that a person creates something, which has not been created before this in a similar manner. When a person has an idea, he should also spend time on thinking about why the idea is important for him as well as the importance of the idea as a whole. It is also important to reflect on the difference that the idea will bring about in the life of the people after it has been delivered. Reflecting on the differences that the software will be capable of bringing about if it exists is crucial. It is required that you have a proper understanding of the purpose as that is what is going to keep you going on and also increases your focus when you are working on your project. Your excitement is automatically going to motivate the entire project team as well as the potential users. Just thinking about an idea is not at all enough. It is believed that ideas are extremely weak and fuzzy until and unless you think about them properly and pen them down. The first thing that you have to think about is how to transform your ideas into software products. It is not an easy task to understand where you should start first. If you are interested in creating the greatest possible software, and you want to start on the right foot, all the thoughts should be clarified as well as written down. Once you write down all your ideas, you will be able to understand them yourself as well as ensure that your entire team also gets your vision. Given below are few of the key points that can be included. In order to get started, it is crucial that you list the business problems that the idea will be capable of addressing. The vision for the software solution includes how you are going to solve all the issues that you have successfully identified and believe that those issues exist within almost every business. Understand what your software is going to do for reducing or alleviating all the issues that are listed. Without understanding the transformation that your software is capable of bringing about, your idea is going to be absolutely pointless. In order to move one step ahead, you should prepare a list of all the items that are required in order to make the project successful. The list can include the essential features or various important criteria like languages, currencies, or the total number of users that the software is going to support. Writing down everything helps you to give a clear vision about how everything is going to work. When you write down, it is also easier to explain to your team members what you are up to. Ensure that you are also involving them so that you can make any changes that should be there in your ideas in accordance to the team members. When you are developing software ideas, it is extremely important that you get proper feedback. The Feedback is necessary so that you can understand whether you are going in the right direction or not. It is not possible for you to approach every single person to understand how your software idea is going to work. An easy method of getting feedback is by creating surveys for the customers, the potential users, as well as all the team members, to understand if the idea is enticing them. However, you need to understand that you will receive both positive as well as negative feedbacks. It is completely up to you as to which feedback you want to incorporate and which you do not. Feedbacks are helpful because they can help you to decide on new ideas. After receiving the feedback and incorporating the changes, it is time to decide how you are going to fund your project. Before funding the project, you need to understand the total money that you may have to spend on the project. All the software ideas are different and unique and there are various approaches to building the custom software. However, as soon as you have an idea for software development, you should also think about the costs that are going to be involved. Experts recommend talking to a number of software companies in order to receive the estimate of the project. You will see that the price is going to vary, and there is nothing to be surprised at all. Your main objective is to understand the total amount of money that will be required and then determining as to how you are going to fund the project. As soon as you have decided to take the huge leap, you are undoubtedly going to have numerous options in order to select how the project is going to be developed. It is obvious that you are going to come across a number of approaches, from various places, when you are running the software project. All the approaches will have a number of advantages and disadvantages, and you have to understand, which one is going to be appropriate for you. After everything, it is your turn to decide how to turn an idea into software. You have to select a team of experts, who are going to assist you in creating the vision, thereby allowing them to provide you guidance through the entire process. Ensure that they are looking at the project ideas so that all of you can together select an ideal platform, technology, feature, architecture, the initial scope of the release, and numerous other things, which will make your software, stand out. You should never let other people or ideas scare you. As soon as you have an idea, it is important to trust yourself and start your own path of discovery by making use of the steps that have been mentioned above. With a little time, you will easily understand whether your idea is great enough for building the software project.